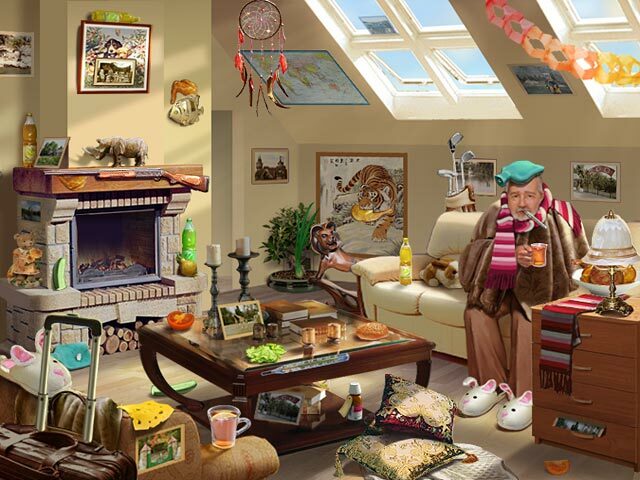 Rated 5 out of 5 by available2you from One of the best Hidden Objects game! Lots of fun. Enjoyed the various types of side games as well as the hidden objects. Nice variety. 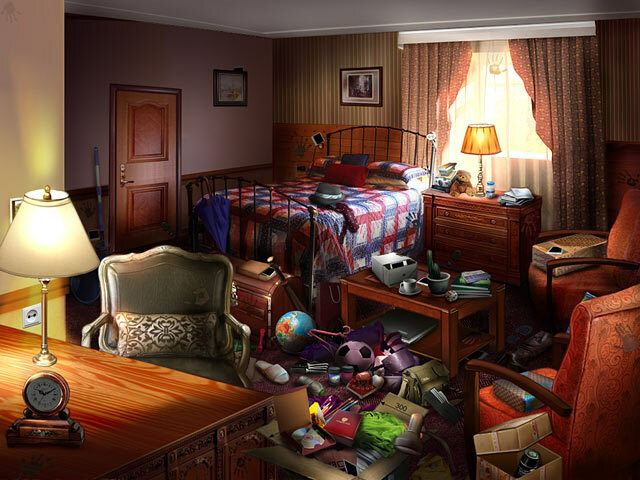 I'm usually not a fan of Hidden Objects games but this one is really good. 5 Stars and Highly recommend! Rated 5 out of 5 by Linca1 from Best of the mosaic games so far I like these types of puzzles, and I think Ihave most of them. This one however bring something new. Not just one color, but at least 2 (haven't come very far yet, so who knows) and ones you unlocked the other color, you can switch between them and as they comes with different helping numbers, you manage to see the board better. There are also other help options. Like one will show 3x3 spots, or another a full column. Rated 5 out of 5 by arnold1049 from NOT JUST FOR KIDS Although at first glance, it looks like a kid's game, this game was a lot of fun and held my interest throughout. The variety of puzzles and combinations of HOS kept it from getting monotonous. I really liked the fact that, if you were having trouble with a particular puzzle, you didn't have to skip it, but had the choice of going to an alternate HOS. I have never seen this before and it was a real hit for me. I am just not good at certain puzzles and this kept me from feeling frustrated. It also kept my score up in the game. I found the hints good and the hint button quickly refreshed. And there was always one or two HO in any given scene that were pretty hard to find. The hardest HOS, in my opinion, was the circus. Also, there was a puzzle piece missing from the "repair the ship" puzzle, which was a little annoying, but, again, instead of having to skip it, I was able to play the alternate HOS. The story line was pretty good, but had the occasional leap where you couldn't figure out how the "evidence" pointed at the next step. The alternate HOS was the same every time, and repeated many of the same objects to find, even though the scene itself contained many more objects that could have been used. This was a little disappointing, but the fact that there was an alternate HOS more than made up for it. This game has 27 chapters, some longer than others, so it was a good, long game. All in all, well worth the money. 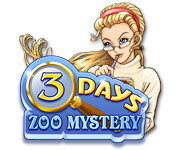 Rated 5 out of 5 by wadeckiburn from 3 Days : Zoo Mystery Good HOG, but best part was the mini games, there was 27 levels and you had 3 to 7 tasks in each level. In the levels were numerous mini games and quite different then other ones and yet some were the same, such as matching keys of the same, match 3 or more balls , place plates on top of each other and so forth. If you completed the mini games you were awarded 1500 points, but if not you could skip them and go to a HOG game and find 8 items for 100 points each. You will get penalized for too many wrong clicks,and it was fairly easy, not the kind of game if you`re really looking for a challenge, but, great game to just relax and play.There is a hint button and it will cost you 100 pts. if you use it, I only played with the sound for awhile and that wasn`t too bad. The object of the game is too find out who took some Zoo animals and during the search you meet different characters and each one has you doing something, such as waiting on customers, fixing their boat, finding clues and such. I`m glad this was on the DD and I bought this just 10 min. in the game. Finished in 2 days as I just was goofing off. I`m not an expert game player and usually don`t write that many reviews, but I loved this game, a lot of the HOGs you have to backtrack a lot, or use the blog, or walkthru, but not this one, If you love a real challenge, then this one is not for you, a laid-back game. Rated 5 out of 5 by mbrobertson from Refreshing and Different I purchased this game from the daily deal after reading reviews and playing the demo. I am really enjoying this game and have gotten many hours of play out of it and haven't quite finished yet. The mini-games/puzzles are a pleasant surprise,I end up skipping a lot of them in other games because I find them annoying, but these games are fun and somewhat challenging without being excessive. 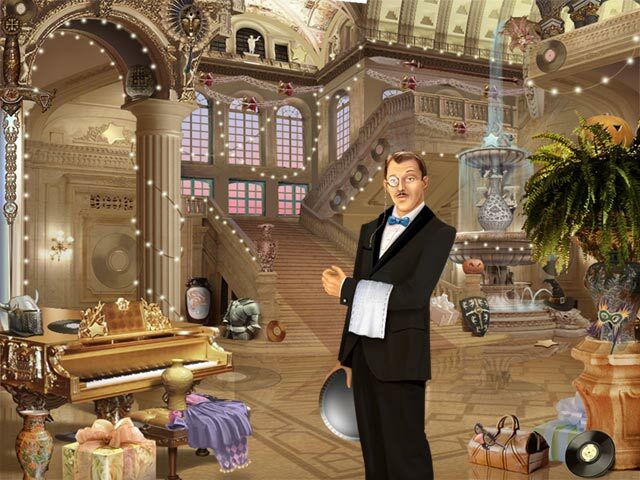 Also, I enjoy that it's a hidden object game that isn't spooky or creepy! Refreshing break from the norm!! Rated 5 out of 5 by grmaSue from not one of those short fast games! I wasn't sure about this game until I started playing and saw there was 27 yes 27 levels to get through! It's not a hard game but gives you plenty to do. I know some players don't like to go back and forth to the same scene but this was fun. I really feel like I got my money and time worth!